From sports broadcast to his newly launched lifestyle podcast, John Brenkus gives us the key behind his successful media career. Nathalie Virem: As a 6 time Emmy Award winning Host/Creator of Sports Science on ESPN – with over 1500 episodes, can you walk us through the ups and downs of building a successful legacy? John Brenkus: The ups and downs of building something like Sport Science really starts with creating it. You have to take a tremendous leap of faith that you are going down the right road in order to create anything. I mean it is scary creating something out of nothing but that’s really what drives me. When we started Sport Science, we first went to Fox Sport and did a deal with them. 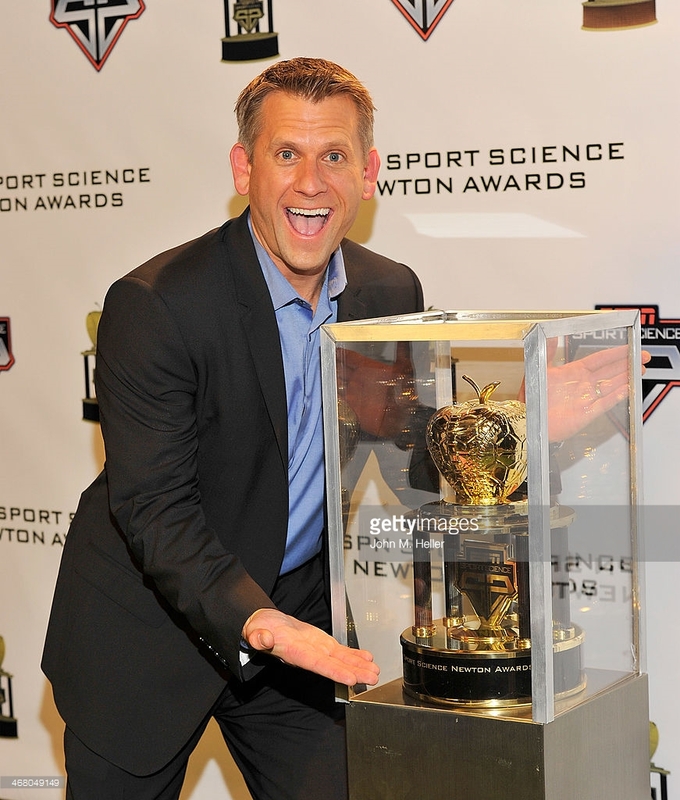 We were on the channel for two years, won three Emmy’s there, then ESPN came along and required Sport Science – we won another three Emmy’s with them. It’s now been on air for over ten years. So, we’ve been very successful and fortunate because we were willing to take that leap of faith to create it to begin with. Nathalie Virem: Self-care and discipline are particularly important to athletes. As a Sports media personality, do you also have a routine or tips to better equip your mind and body to thrive? John Brenkus: In terms of living a positive life and having your mind, body and soul really thrive will begin with your thoughts. I pray morning, noon, night and try to reset myself multiple times a day – to really make sure I’m focused on forward progress and positive energy. When you catch yourself feeling down and not doing exactly what you should be doing, you need to reset your mind first, it all begins with your thoughts. Thoughts become actions. When you are able to reset yourself several times throughout the day, you really can accomplish amazing things, as long as you stay positive about it. Nathalie Virem: You recently launched “The Brink of Midnight Podcast” that has an overall positive message of inspiring others to live a fulfilling, authentic life. Did a particular moment or event inspired you to live in that way yourself? John Brenkus: Yes, it is really is all about exploring the moment when your life changes constantly. My big moment in life was meeting my wife, Lucy. I think true love is all about being willing to give yourself to someone else, so it’s not a compromise. It’s a recognition that this person is more important to me than I am to myself. Nathalie Virem: Who do you plan to feature next in your podcast and when? John Brenkus: We have Chase Rice who is a tremendously successful country music star and are already coming close to episode 50! Things have been going very well for The Brink of the Night podcast, it’s something that we feel can help people recognize how to make significant change in their own lives. Nathalie Virem: What other future projects do you have in the works now? John Brenkus: So, there’s a great foundation called The Ray of Hope Foundation that I’m working with. It’s all about sending a personalized video message to someone in dire need. This is not a charity but about wishing somebody happy birthday, but sending a positive message from a celebrity or athlete to an individual who really needs words of inspiration. On May 15, 2017, Brenkus and Lizzie launched “The Brink of Midnight Podcast.” Through the podcast, John explores the moments that his guests credit with changing their lives forever, those that pushed them in an unexpected direction, shaping the experiences that followed and molding them into the people who they are today. The podcast features positive messages, inspiring their audience to live a fulfilling, authentic life.